This month saw a return to full time work and as a result I missed a fortnight of poetry I had planned. Which I still haven’t really forgiven myself for. Started with the Easter weekend and some time offline. I registered AWF on napowrimo.net and spent most of my time organising the long overdue exhibition at the Jinney Ring of our Sculpture workshop poems. I am also involved in a Shakespeare Birthplace Trust project with local schools in Stratford-Upon Avon and received letters from two children who I then wrote a peace poem for. I made that sound easier than it was, the one child requested a humorous poem. I have a repertoire includes about 20 funny poems (which sounds a lot, but I have been writing for 4 years now)! I had a 6 day deadline and the poems had to be received by post. I managed 2 poems which I am proud of and hope that they are excited to be working with a Laureate. I started the long process of editing and digitally compiling the Special Edition of Contour Poetry Magazine. Proof copies were sent out in March and now I have to fix edits and complete the desk top publishing, due to work commitments I know that it will be May before this issue is live. I had hoped for an April release originally. I have worked on ATOTC A Tale of Two Cities since July 2017, one of the first long term Poet Laureate projects, it has been an amazing project which saw poems exchanged between UK and USA partners throughout 2018, all copy was back on my desk by March and after all the hard work of the 47 people involved I want the issue to be the best that it can be. I would rather take more time over it than hash it out this month, I simply no longer have time scheduled for it as other items, events and work have to take priority. Even when these magazines are seemingly ready they have historically eaten another 14+ hours in the end process of conversion and upload. I worked on the Suffragette Anthology – now live over at the Worcestershire Poet Laureate site Suffragettes Anthology. I had a workshop in Stratford with Angela France, we wrote about trees and it was warm enough to sit in the garden, unfortunately a sunny day + Easter break saw Stratford full of tourists and this meant our usual haunt was not available for lunch. Sitting on a wall opposite the river chatting with Angela was a bonus though. The following day I was facilitating a workshop with the Basement Project, I booked 3 with this charity back in November as part of my local Laureate work. The charity support young people 16-25 who are or are at risk of becoming homeless. 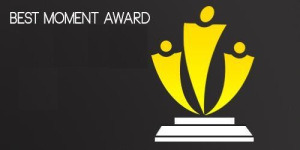 It is a great team there and I have already established work with them post-Laureateship, which is great. I started NaPoWriMo and over the weekend took some of my Napo poems for editing treatment. I finally got to see Idle Women on tour – it had been nearly a fortnight since I inhabited the world of poetry, due to tiredness I missed 42 at the end of March and had not been out to a poetry gig since Earth Hour. It was the 2nd time in as many weeks I had had the pleasure of going out with my mum, we saw the ROH ballet at the Artrix the Tuesday before and then shared Idle Women. They still have tour dates in May, catch this show if you can. You will not be disappointed. I continued to write a poem a day for NaPoWriMo. I took the Sculpture Poem Exhibition to the Jinney Ring. It is now on display in the restaurant near the entrance, an entire wall of poetry. They are able to keep it up for the next month and this means that when we have our Hanbury Reading at the Church in May, the poems will still be at the Craft Centre for visitors to go and see. Also I am hoping that this will in turn promote the next Sculpture Trail workshop in September 2018. I started to write copy for the Worcestershire LitFest Festival Programme, the Poet Laureate Review, traditionally this has been half a page, I requested a full page and still edited out over 200 words! I had a lovely evening out with poetry friends. I had my final workshop at the Basement Project planned and got up early to prep for it, unfortunately it was cancelled as some of the mums who had booked their children onto it were unable to make it. I will hold another Junior workshop in October half term. I wanted to go to Scary Canary for Permission to Speak as Natalie Burdett – a poetry friend from 2014/15 who is now doing a Phd in Manchester and has just had her pamphlet published by the Poetry Business. http://www.poetrybusiness.co.uk/natalie-burdett I missed her set and the entire evening as Mr. G was on a course in Worcester and I met up with him afterwards for a Cinema date, we weren’t home in time, plus we had just been on a date. ‘Lovely date, thanks darling – just going out poeting now.’ wouldn’t have gone down too well! I missed SpeakEasy which Tony Judge was headlining due to a backlog of work. 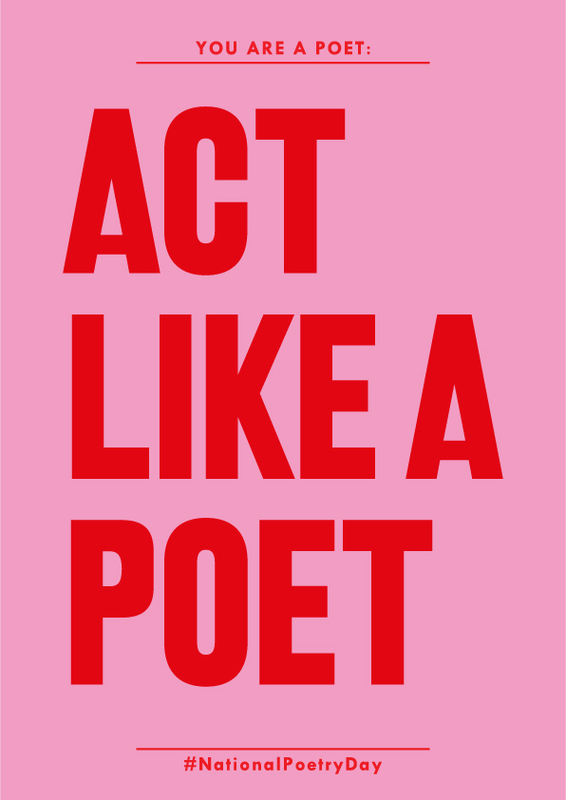 I am currently writing an evaluation for the WMRN and was prepping for poetry festivals and working on ATOTC. I missed Stanza for the 2nd month (my poor unedited poems) as I was too tired and was actually asleep by 8 PM which would have been rather impolite on someone else’s settee! I spent my final weekend of freedom with Mr G. and did some work on the house and a little editing on ATOTC. Full time work (my first time in 5 years) arrived kicking and screaming on my doorstep. I missed the Me Too event at The Hive, Case Bailey in the Jewellery Quarter, and Sean Colletti at Dear Listener. Most of my free time in the evening was spent recouping from the day. Emotionally and physically! I managed to write a review for BMAG on the Hackathon experience and started writing my Verve Review for Sabotage. I was also asked to do a Poetry Surgery at the Anchor Gallery in Birmingham as part of the work Nellie Cole is doing there. I managed to get to Jenna Plewes Book Launch, it was a sunny evening and very pleasant to spend an hour or so listening to her poetry from her new V. Press pamphlet Against the Pull of Time. I will be writing a review of the Launch in May. I had my Sparks Young Writer group (WWM) at The Hive on Saturday which saw the welcome return of members to the group and we were also witness to a group of Librarians helping move a gigantic fish through the ground floor of the library. There was a procession of some sort down to the river, elements of which found there way into our writing. I finally got the European Twin Town project between Droitwich Spa and Voiron off the ground. I had been working on this WPL project since July, mainly at a committee level and like with all these projects it was a slow start, but perseverance pays and by the beginning of 2018 I had a french contact who put me in touch with a poet, Alain Graiz. Alain helped me find other poets from Voiron and by February/ March I had communicated with all involved. Again I had hoped to get the exchange up and running by March. I am happy to say that it is now in full swing, some poems have already been exchanged. It is a much smaller project than ATOTC and the full collection of poems should be live before the end of my Laureateship (10th June). I received news of my Grant Application but have so far been locked out of the system. So I have no idea if my bid was successful yet or not. I spent the week preparing for Cheltenham Poetry Festival and Bohemian Voices and getting incredibly nervous over the fact I have not performed poetry for a month! That must be the longest length of unintentional abstinence ever! But what I have learnt is it is hard to facilitate projects, write new poetry, edit magazines, teach and still find the time to perform! I needn’t have worried. What I did is over rehearsed and then I don’t think anyone would have thought – she clearly hasn’t read for a month! I have been doing NaPoWriMo throughout this whole month, occasionally falling behind a few days and playing catch up. To produce 30 poems in a month in no mean feat. I am also working on something more too. I missed the Bare Fiction Launch and 42 (for the 2nd month running). I wanted to save my energy for Cheltenham Poetry Festival and the last fortnight at work has been exceedingly hard going, so I had little energy to spare to travel to events. 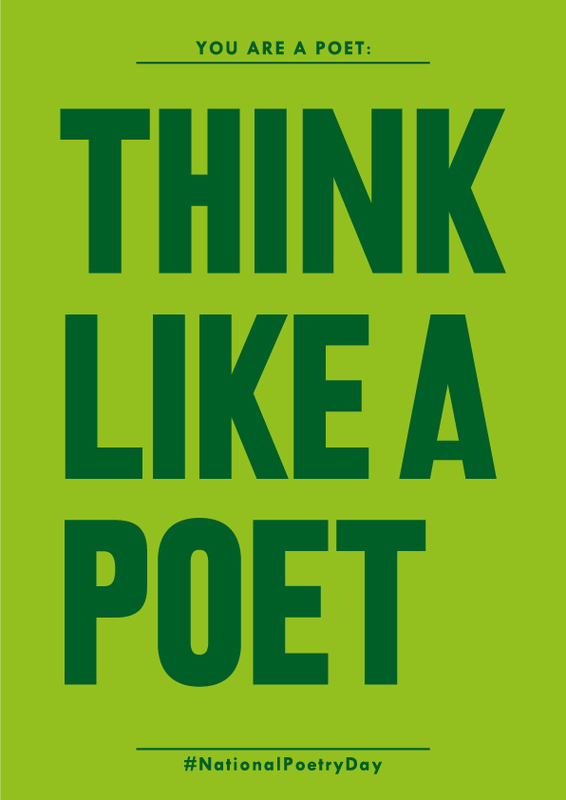 Cheltenham Poetry Festival arrived, funny when you are booked so far in advance it seems forever in the diary as coming up… then suddenly one week it is days to go. I was slightly gutted that I had been invited to do Stablemates with Jill Abram in London and missed it because it was on the same night. Sarah went in my place and it sounds like they had a great time. Cheltenham Poetry Festival was excellent, as it always is. Just a shame work meant that I wasn’t able to get to much other than on the day I was booked. Cheltenham Poetry Festival I made it for the Indigo Dreams Showcase which was at the same venue before my Fragile Houses reading. I will write a full review post next month. I had a fantastic evening and was delighted by the surprise appearance of my mum and Aunty. With little time to recover from a 2 night fix of poetry (which certainly made up for missing a month of it), I had a Book Launch. This weekend also saw Birmingham Literature Festival Spring Edition, which I totally missed due to bookings and other commitments. The Book Launch on Saturday was in Walsall at Southcart Books for Diverse Verse 3, a charity anthology edited by Richard Archer, it was a beautifully relaxed event with plenty of opportunity to catch up with friends and Richard, myself and Rick Sanders were interviewed for the West Midlands Magazine, more on that soon I hope. Click the link for the full review. I finally finished the month with a submission – not sent any poems anywhere since March! 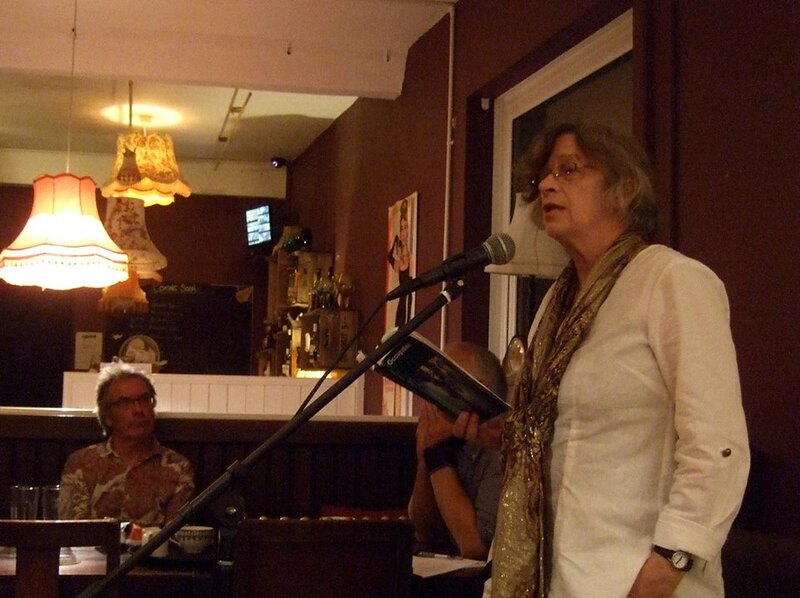 I also had to write Q&A for Australia – Western Australia Poetry Festival – for the promotion and marketing and complete my review of Verve Poetry Festival and my evaluation for WMRN. That is a lot of midnight oil after a day at work! Priorities in May include: Finishing WPL projects, tying up the reviews for WMRN Reader Residency for Warwickshire Libraries, organising poets for Artsfest events, performing and discussion at Midland Arts Institute, possible participation in a Heritage Project, a workshop with Ash Dickinson, a poetry judge at Sarah Leavesley’s Book Lauch for How to Grow Matches, being a poet at the Living Library, Headlining Poetry Bites (my first Headline for a while) and more, including new writing and Ledbury Poetry Festival – oh, yes and work! As always NaPoWriMo takes over April and makes it challenging to keep other blog posts up to date. 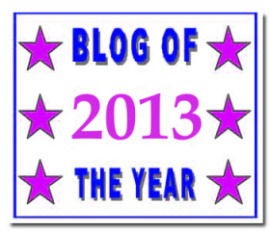 I have made an effort to keep the blog NaPo intentionally this month with a few posts breaking the thread. I have had some amazing experiences this month which deserve a dedicated blogging. I plan to pepper them in throughout May. I was asked to co-ordinate an event for a Festival I am already involved with – this task took the best part of a fortnight. But I am happy that it is all now booked and in place for this summer. 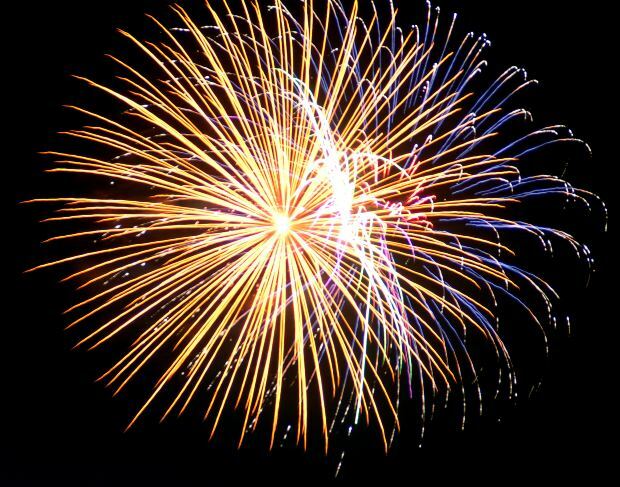 I spent further weeks this month planning and organising the events for an Arts Festival in July. I went to an editing workshop. Taking with me a poem from 2014 that has never fully worked. I can safely say it has the treatment now and just in time because it formed part of the set I performed at The Poetry Ballroom. I experienced the Poetry Ballroom. 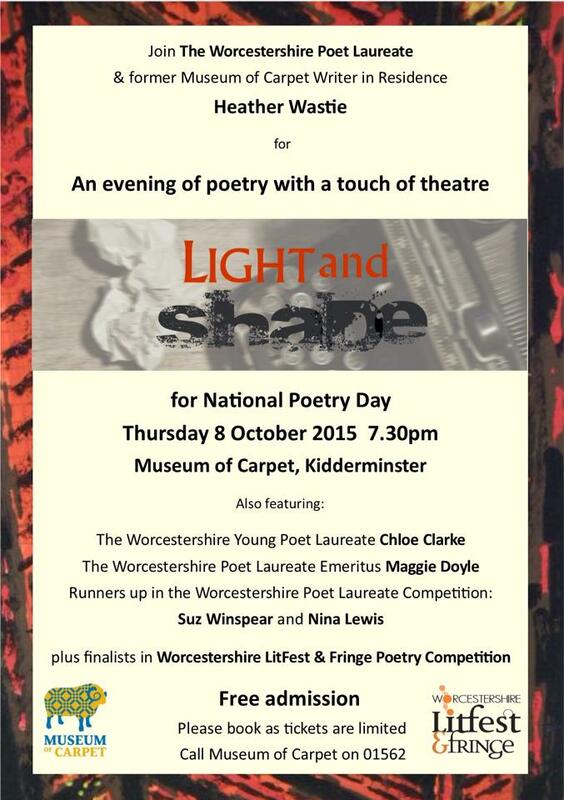 Suz Winspear (this year’s Worcestershire Poet Laureate) organised this event in partnership with DanceFest. It was an amazing night. I will be blogging a full write up in May, I was honoured to be an invited performer at the event and had great fun writing some dance poems especially for it. The evening was a sound success and the dancers appreciated the theme of our poetry – not realising that we would focus on dance. As an ex-dancer, it was a pleasure. I was asked to endorse a book (my 2nd one). The first book I endorsed is due to launch in May, more on that next month too. I am currently reading this manuscript and am delighted that the publishers thought of me. I went to a reading at The Hive with Sarah Leavesley & Melissa Lee-Houghton. I was really excited by this. Ruth Stacey had arranged it for her students at university and just gave a bit of a quiet shout out. Being part of an audience of students, listening to their woes made me glad this wasn’t my life anymore. It is all to easy to glamorize the undergraduate/post grad life… but really… as much pressure as the real world. I loved hearing Sarah read from Magnetic Diaries again after all this time and it was a real treat to hear Melissa Lee-Houghton, as she sadly couldn’t make Verve festival in the end. It was a great evening and I am glad I managed the post work rush to get there. Had to drive a hire car too – as my window decided to malfunction and I spent over an hour finding a garage willing to help me so late on in the day. The window was stuck in the down position. My lesson: using air con is cheaper in the long run! I spent time writing the brief for a 2nd poetry festival event, involving the other two poets. It is amazing how many days it can take 3 poets to come up with less than 3 lines! Back in February (my month of applications), I applied for Room 204 Writer Development Programme run by WWM. They had over 130 applicants this year for 15 places. I am delighted to announce the embargo has lifted and I can share this news. We had our first cohort meeting – what a great year to be in, so much talent. We had a photo shoot (one I wanted a haircut and weight-loss for) – neither happened in the days beforehand, but Paul Stringer is a talented photographer. It was a fun morning, we were all so excited to be part of the 2017/18 cohort and already good things have happened as a result. There is a whole year of mentoring and career development ahead, over £1000 worth. Priceless if you ask me. I also reconnected with a good friend of mine afterwards and we plan to exchange books and do lunch next time I am back in the area. I used to spend more time in Birmingham than I do at the moment. I am spending less time on the road this year and more time at the desk, the natural pattern of a writer. It was good catching up. Went to an incredibly exciting meeting at the Custard Factory for this year’s Room 204 programme, which we were embargoed about. The news was finally released on the 11/12th. Started typing NaPo poems, I decided to write longhand this year, which gave me that workshop feeling as much of my writing is straight to screen nowadays. It meant I successfully completed the challenge with 97 poems by the end of the month, however I have typed about 10 to edit so far. Made a promotional Easter video for Fragile Houses. I was reading advice on marketing and promotion and find it hard to detail what my pamphlet with give you beyond shared experience, memory and space to work through mirrored realities. Which all seems a high promise or at the worst an abstract manifesto. Then I thought about chocolate, the calories (personally delighted this year to have so many eggs and treats). Had another 3 eggs after this photo was taken! I spent half a day making the video. Poetry – less calories than chocolate. Maybe I should have offered a free egg with every book sold. I booked onto a Room 204 event for later in the month. Started writing a book review and went to see Kate Bush tribute Cloudbusting with Mr G.
I missed License to Rhyme again as the next day I was going to Swindon. Rick Saunders aka Willis the Poet was headlining and he was happy to take me on the road trip. It was a cracking night at Oooh Beehive – a night that Clive Oseman and Nick Lovell started a while ago. Swindon is quite a way on a school night and it was the early hours by the time I was home, but it was the Easter holidays and I am glad I managed it. Lovely to see Sam Loveless and Edward, who I met at the Poetry Festival last year. I went to HOWL and watched amazing headline sets from Charley Barnes, Tom McCann and Rhythmical Mike. 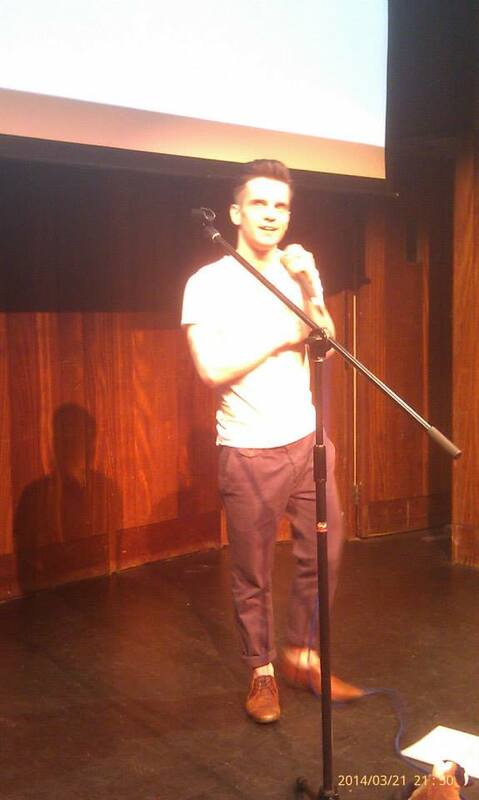 It was a great night and I was happy I made an open mic spot. It was fabulous to see everyone again. I went to SpeakEasy where Gareth Owens was headlining. That was a good night too – rare these days that I manage 3 nights on the hoof like this. I spent the day beforehand making media for an upcoming festival shoe and dealing with programme copy. It was nice to escape for a few hours and immerse myself in poetry. The Beltane Anthology for 2017 was published by Three Drops from a Cauldron, which has my Rag Tree poem in it. I know you should never judge a book by the cover – but with this stunning design, who wouldn’t want to see their poetry inside! Featuring poetry and flash fiction by Jane Burn, Rhiannon Hooson, Alison Stone, Denise Blake, Abigail Elizabeth Ottley Wyatt, Eleanor Penny, Tom Moody, Bee Smith, Rebecca Buchanan, Rebecca Gethin, Nina Lewis, Wendy Mannis Scher, Ceinwen E. Cariad Haydon, Sarah Hart, Raquel Vasquez Gilliland, Kitty Coles, Donald Illich, Dennis Trujillo, Lesley Burt, Cynthia June Long, Vivien Jones, Moyra Donaldson, Maggie Mackay, Bethany Rivers, Lewis Buxton, Carmina Masoliver, Nico Solheim-Davidson, R.M. Francis, Linda Goulden, Ilse Pedler, and Joanna Swan. Edited by Kate Garrett, with the Three Drops from a Cauldron editorial team: Becca Goodin, Loma Jones, Amy Kinsman, Holly Magill, Penny Sharman, Grant Tarbard, and Claire Walker. It is now also available in digital copy. I had a free writing webinar with The Writers Academy & Penguin Random House, it was an interesting few hours, although I wrote copious notes not realising they were sending follow up information via email. I had my first Room 204 1 to 1 session, we get 3 over the course of the year. It was useful and I have already started working on decisions. I spent an entire day co-ordinating and planning for festival events. Holly Daffurn has started a new venture – at Bottles Wine Bar, ‘Uncorked’ an evening of Spoken Word, there were over 50 tickets sold and the night was divided into 3 parts with 5 headliners and open mic. Ambitious scheduling, beautiful venue and a stellar line up made for a perfect evening. The Spring edition of Birmingham Literature Festival happened and despite a fantastic programme (all well received), I was unable to make it across to the city for any events. I even missed Cynthia Miller’s Primers Launch. I had my WWM group which meant I couldn’t attend some of the events/workshops on Saturday. The group went really well, we made our own magazines. I have since planned the final two session, so feel ahead of the game. I booked tickets to go and see Carol Ann Duffy in May, continued to organise festival events. The Stourbridge Literature Festival started. I went to see Emma Purshouse headline at Spoken Trend, saw Carla Rickets headline too. It was a great night, I even went home with 3 daffodils, now that is a good night. I took a Napowrimo poem to Stanza and it was approved. I have written 97 in total this month as I have followed 2 main prompts, the main site napwrimo.net and joined Carrie Etter’s group where she provided us with 30 optional prompts. Beyond the poems, I have researched and stumbled into new project territory which is most exciting. Carrie’s group was amazing for comradery and support. Jo Bell spent the entire month posting poems for us to read as it is as important as writing and a sure way to learn/ learn about poetry. I have thoroughly enjoyed reading the poems and discussions on her blog and will miss this daily ritual and ponder more than I will miss the onslaught of daily poetry writing. I went to the first talk organised by Room 204 and now have a notebook full of information and ideas. And the month finished with a flurry of PR for VOICES FROM THE MIDDLE at Stourbridge Literature Festival. The first of 3 events I have been organising. A combined reading with: I will blog about the festival/event over the coming days. 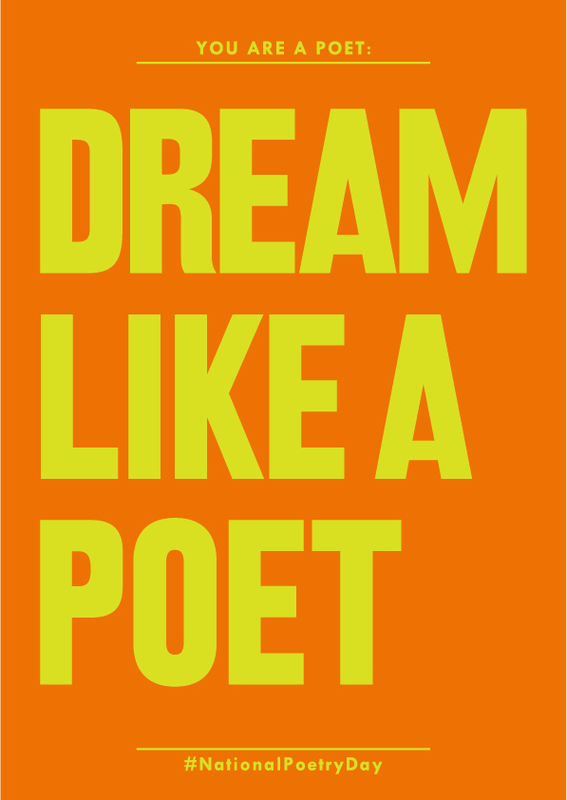 Within 24 hours I will be promoting Cheltenham Poetry Festival and over the next 5 days working towards 30-40-60 the collaborative performance booked into this year’s Worcester Literature Festival. I will not have time to be sad about the end of NaPoWriMo, but I hope to have time to type edit some of the work produced during April. Right now I should be at Cynthia Miller’s Primers Launch in Waterstones, (part of the Birmingham Literature Festival Spring Edition). I have a million things that need doing and a lack of time to squeeze them all into. For the past few days I have managed to write my poems on time or in epic late-night catch ups. 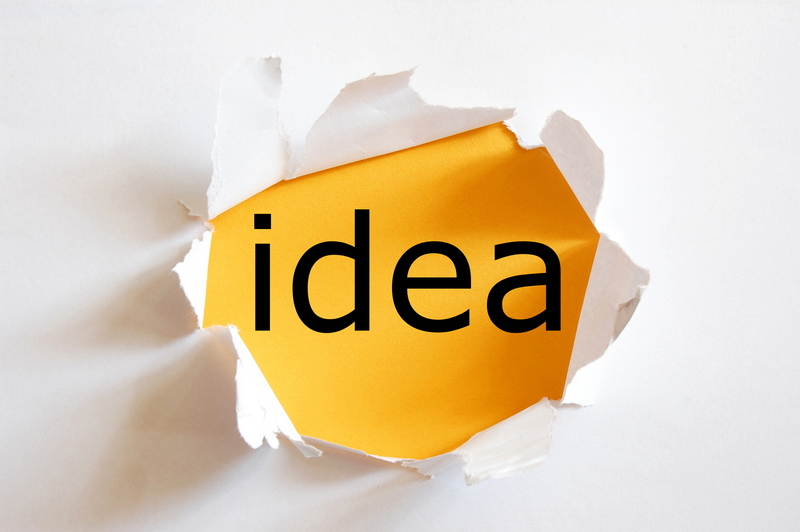 I am currently on Day 23, letting ideas settle in my mind. I have fallen behind with blog posts as I am currently organising 3 festivals and have been busy with research, work and real life. I really enjoyed the prompt today, had lots of fun and research points, became a half decent poem, edited into a decent poem and performed at Uncorked that same evening. 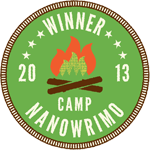 I cannot believe we are 2/3 through NaPoWriMo and I am feeling proud that this year I have managed it. Thanks to Carrie Etter’s group. I get the feeling that most of my Napo writing is airy draft, I know I can go back to these poems and extract the gold dust and rebuild. So please do not be hard on yourself if you feel that most of your daily writes have been a bit naff. I spent some time wandering around participants sites the other day and reading some incredibly strong poems (with a glint of envy), it is amazing what rolls out of people’s heads during this April challenge. Our featured participant today is this and other poems, where the creation myth for Day 19 is “tenuous,” but strikingly believable! Our interview today is a two-fer: the poet Rickey Laurentiis being interviewed by the poet Carl Phillips. You can find examples of Laurentiis’ work here and Phillips’ work here. Today, I challenge you to write a poem that incorporates the vocabulary and imagery of a specific sport or game. 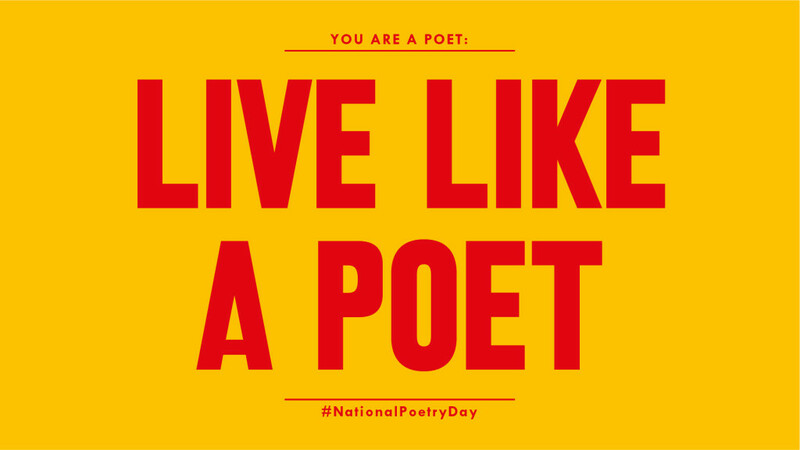 Your poem could invoke chess or baseball, hopscotch or canasta, Monopoly or jai alai. The choice is yours! I chose Poker, as it is a game I do not play and I discovered lots of associated vocabulary that leant itself to poetry. 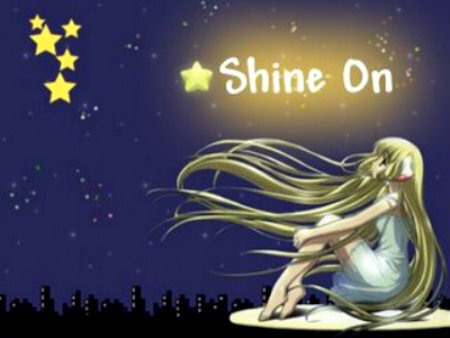 It was a fun write although not so jolly for the character in my poem. It went down well with the audience at Uncorked, so it has been filed in the OKAY pile for now. For the first time I used the computer rather than my notebook. This is how I usually write and I wonder if this has anything to do with creating a better poem. My brain understanding what I am trying to achieve as my hands dance across the keyboard. For me, the difference of swimming safely in a pool or being out in the open sea, those blank pages scare me sometimes. Although I love the freedom of writing in notebooks, as I love the sea, but there is always danger lurking and scribbles have to be crossed out rather than deleted from existence! on diamonds, lost it all. Carrie Etter’s prompt involved using titles. Titles are not copyrighted but some poets felt that they couldn’t use work in this way. I liked the idea and wrote from a title as a springboard and then edited the title out. Sandra Lim has some splendid titles in her first collection, Loveliest Grotesque. I also revisited my poetry from Day 19 and wrote a poem I like ‘Crabsticks and Gin’. Jo Bell (whose Canoe writing workshop I am also missing today at BLF Spring Edition), posted Variation on a Theme by Rilke by Denise Levertov. I am really appreciating these daily reads and discussions. Which for anyone taking part is light relief – well it would be, but a one sentence poem is harder than you imagine. Morning poets. Today, I’d like you to write a one-sentence poem. Draft it in prose, so you’re not worrying about line-breaks. They can come later. You’ll also find that you become more expansive and loquacious by drafting this way. If you reach a natural break, connectives (also known as conjunctions) are your friends: use ‘but’, ‘and’, ‘which’ and so on to carry on your sentence. Brackets and dashes are useful, but I’d like you to avoid colons and semi-colons as they stop you in your tracks when you’re supposed to be flowing. Your example today is Steve Scafidi’s magnificent ‘To Whoever Set My Truck On Fire‘, but your poem doesn’t necessarily have to be this long! 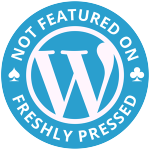 Today is a celebration – 3 years of this blog, I spotted the WP Trophy icon on the site! I went for a wander around the data and was happy to see the growth in traffic, visitors and followers year on year. This wander down memory lane landed me in the New Year posts from 2015. After I read them and recalled how I felt this time last year in my writing skin, I decided to write this post. I have often said that what the world sees is the tip of the iceberg and actually they never see the part under the surface. We all know too well those internet lists of incredibly successful people who started with a series of failures, some lasting decades. I always wanted to mix the downs and ups, tell you about rejections and so on, equally I want to mark the successes. So I have lifted this list from the review post Truth & Rainbows. It isn’t just about blowing my own trumpet, it’s to get you to think about yours and realise that if you keep on, you will get there. I am working towards a collection of poems for a pamphlet. I sent 2 manuscripts, both were rejected but one showed promise and I continue to make this my personal project of 2015. The process has opened up a whole new world. I had the wardrobe, now I have to find my way around Narnia! I am starting work as an Assistant Writer with hope of having a position as a Lead Writer in 2015. I am coming up to 12 months as an Assistant Writer for WWM and have also been 1 of 3 writers picked as mentors for a term. I am going to have a big presence on the Performance Circuit in the hope of being booked for guest spots by the end of the year. I managed 107 events, some were open mics, other were gallery openings, art projects, festivals, commissions, collaborations, everyone of them was a delight! I performed alongside many amazing people and have just had my 2nd Headline/ Main guest booking! I will submit poetry for publication. I did! Some was published, others rejected, all were new writing fresh from my pen. 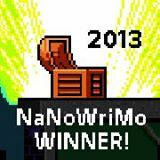 I will write some short stories for competitions. I did, I have shelved this as I was not particularly successful in this field although I corresponded with some incredible people and had a few close misses. However, posts I wrote back in 2013 about writing short stories are still top of the stats several years later. I am working towards a collection of poems for a pamphlet. In August 2014 I submitted a manuscript and in January 2015 this was accepted for publication. It has been a long, hard year and somewhat disappointingly my work is not yet out in print. I am in the final editing stages and have learnt a lot from this process. I know that the final pamphlet will be stronger for the additional work that has gone into it and will mean so much when I finally get to hold a copy! As I didn’t enter the poetry world until October 2013 I mark this acceptance almost within the first year of writing, 14 months after starting my poetry was accepted. Even if it will take a while longer to be read. I am starting work as an Assistant Writer with hope of having a position as a Lead Writer in 2015. I was given the Lead Writer position in September 2015. I happily continue and have just planned our first session for 2016. There is also a new project I am hoping to be involved with for our groups this year. I am going to have a big presence on the Performance Circuit in the hope of being booked for guest spots by the end of the year. In my first year I performed poetry at over 107 events, some were poetry festivals and commissioned events and collaborations. My biggest achievement was a poetry commission to write and perform at Birmingham Literature Festival 2014. In 2015 my headline slots started at the beginning of January and I was booked throughout the year at various venues. I hope to keep this up and of course having a book to sell will help! 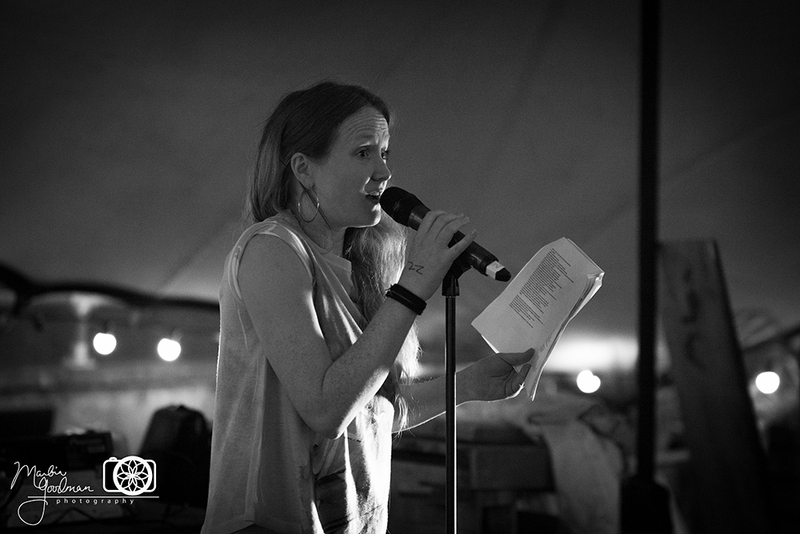 I think I performed at about 92 events in 2015 (not much of a back seat was taken), including book launches in London, Poetry Festivals (a wider net was cast), commissioned performances and a finalist in Worcestershire Poet Laureate competition (3rd Place), my first ever Poetry Brothel Experience with Caged Arts and 5 other selected poets, I was also part of the Quiet Compere Tour 2015, Worcester – Stop 6, which was booked way back in April 2014 and had to be kept a secret! I also completed some Poetry on Loan training and organised the best INKSPILL yet, our annual online writing retreat, this year marked 3 INKSPILL retreats and next year plans are afoot for some expansion. I will submit poetry for publication. I did! Some was published, others rejected, all were new writing fresh from my pen. I got into publications that were on my ‘dream list’ too. We have to put up with so much rejection in this field that I think it is essential for some positive reflection. So have a think about your own writing desires, how far have you come? How close are you? What will be your next step? This is also the 1100 post rather excitingly! It has been a roller coaster year and I have loved every minute. I am already busy working on projects for 2015 and plan to update you all early in January. 2014 has been an amazing year, my first full year in my poetry skin (returning to this form of writing after a 15 year gap), I performed at Literary Festivals (Wenlock, Worcester, Stratford & Birmingham), finally got to the Ledbury Festival, was published in poetry journals & print anthologies, entered a few poetry competitions, was part of a team of local writers who featured in the Restless Bones Anthology to raise funds for the Born Free Foundation. I continued to work for Writing West Midlands, was offered a one to one mentoring role from WWM and given the opportunity for some further training in Arts Mark awards, had my poetry display in the library, on the Wenlock Poetry Trail, at Acton Scott Farm, was commissioned to write poetry for a Festival performance, had several main sets (15mins+) performances, wrote lots and got as involved as much as time enabled in Jo Bell’s wonderful 52 project. What I also did in January was promote 52 to local poets, some of whom are now taking on major roles in the continuation of this project. The Fourth Wall (one of my original Dance poems) was displayed by the Arts Network in a local Library for a month. 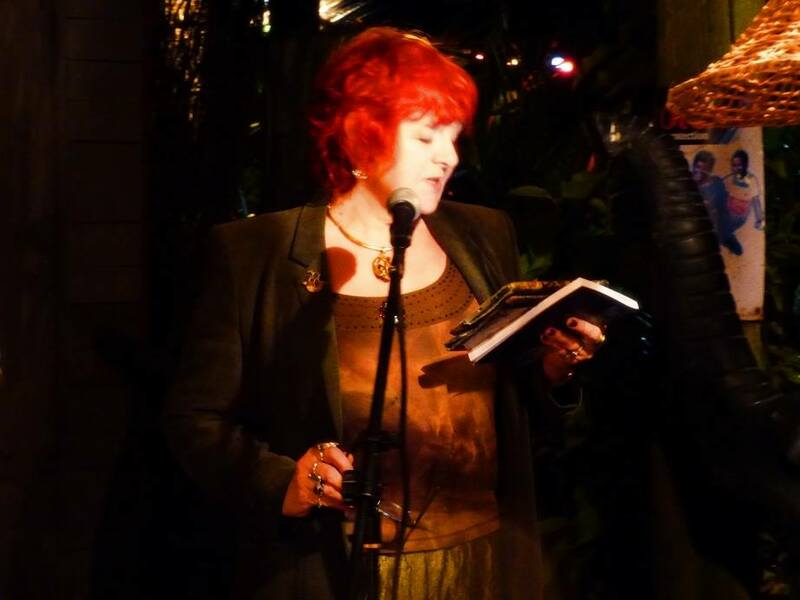 Nominated AWF as a blog following the NAPOWRIMO challenge and participated for my 2nd year running, although due to commitments performing on the road kept me away from managing the whole of National Poetry Writing Month. 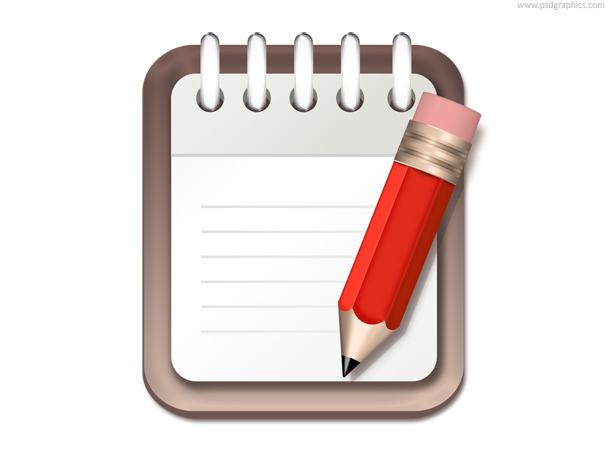 What’s the Agenda – A weekend Arts Festival at the MAC – Midlands Arts Centre – submitted work to Hayley Frances. My Haiku poetry became part of her installation on Hikikomori. A very powerful piece. I hoped to be involved in a Brainfruit production with Roy Hutchins as part of his Poetry Army, unfortunately due to a lack of sales this event was cancelled. I hope to work with Roy in the future. I was asked to perform on The Quiet Compere Tour next year, funded by the Arts Council this is a paid gig. 106 performances including in late Spring some collaboration with Tim Scarborough on a set of poetry and music, opening events for galleries, sets at Festivals, performing on a narrow boat, Worcester Music Festival, 100,000 Poets for Change and my first ever Poetry Slam. 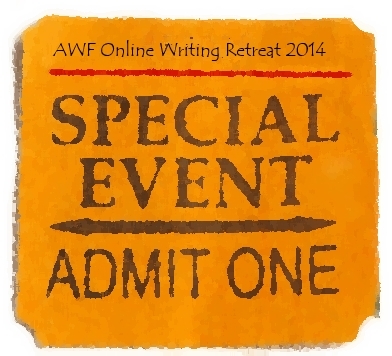 AWF hosted INKSPILL, an online writing retreat for the 2nd time, this year it was supported by guest writers; Charlie Jordan, William Gallagher & Heather Wastie. The Hitchhiker’s Guide to the Family – Ben Norris at the MAC. 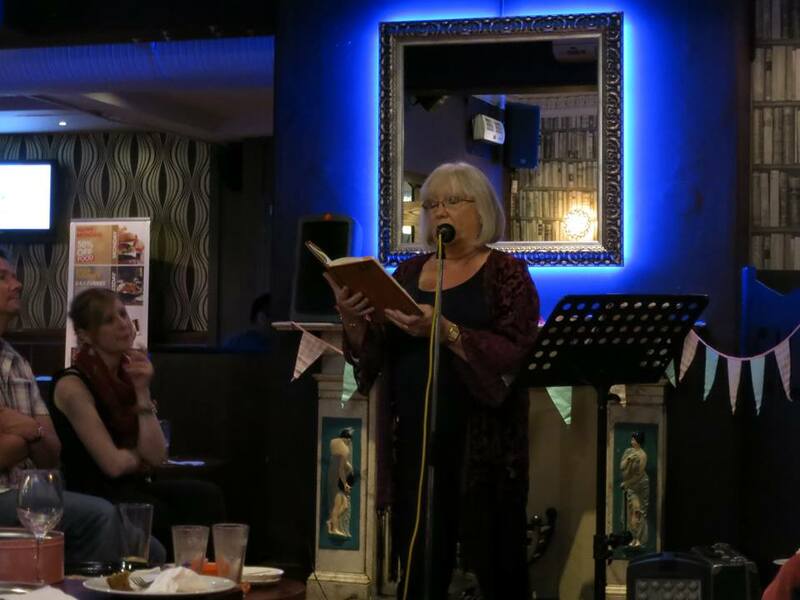 Wolverley Village Tea Shop – Pop Up Poetry Event organised by Sue Wood and featuring Worcester Lit Fest poets and others. Elvis McGonagall at The Hive, Worcester, an event organised by the Worcester Lit Fest. Birmingham Poet Laureate Announcement and other Birmingham Literature Festival events including; Radio 4 Poetry Please with Roger McGough, With Great Pleasure, also recorded for BBC Radio 4, Rich McMahon & Tell Me on a Sunday, with Cat Weatherill. David Calcutt – Wild Fire – Writing Workshop in Community Gardens, 2nd workshop with a group poem that will become part of the Garden. WWM – Writing West Midlands – Young Writing- where I started my first of three 1 to 1 Mentoring sessions. Joined the Arts Network and several online subscriptions. Successful application for Assistant Writers Role with WWM Writing West Midlands, working with young writers and Ian MacLeod. I also covered as an assistant writer in Jean Atkin’s group. Applied to be involved in a commission with Naked Lungs, I was later successfully picked for the final collaboration. Poem on the Wenlock Poetry Trail (as part of the Poetry Festival) 1 of 23 poems displayed in local shops in the town. Two poems accepted for Born Free Poetry Anthology – Restless Bones. Elaine Christie watched a performance f my 52 poems a few months later and asked for another two poems, I am delighted to have 4 poems in this wonderful collection. Hayley Frances asked for Haikus for a new community project taking place as a weekend festival at the MAC (Midland Arts Centre) I sent quite a few and had them used in her Hikikomori installation at the end of the month, which I was lucky enough to see. I sent some poetry to Acton Scott Farm, Jean Atkin was the poet in residence and had The Half and Half Pig chosen for the Poetry Fence. Clench Published by Hark Magazine, July Issue. I also worked on an epic submission for Offa’s Press, which was rejected, but I have the pleasure of knowing one of the new poets that was taken on. Fallacy (a 52 poem) published in the GBWO – Great British Write Off. 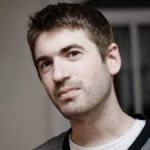 LOOK OUT for exciting Daniel Sluman posts (he proposed over Christmas) so look forward to an excited Daniel Sluman too! Balance? No idea – just squish bits of writing in whenever you can, and accept that life sometimes gets so busy with work and family responsibilities, that you may not always have space…….that’s ok too – sometimes the only hour you get free needs to be spent walking in the park and clearing your head. Don’t get too Ivory Tower about your writing, we all have images of sitting in a particular location, with elegant stationery or a Macbook and endless hours to focus on our craft – but the reality may be scribbling on a train in rush hour, or when waiting to collect the kids on the school run – hoping they’re running a few minutes late today, so you can finish a piece. 😉 Sometimes it’s just a few brief notes or thoughts for working on another time, and that’s ok. I love the books by Natalie Goldberg on writing, and she writes about Zen practise too – so as someone who’s dabbled with Buddhism for 30 yrs, I can re-read her books and still savour new nuances. Others rave about Stephen King’s book on writing, or Julia Cameron – read widely and see what works for you, but don’t allow too much reading about writing equate to never actually doing any writing! It’s a fine balance…. I read Buddhist books, Pema Chodron & Thich Nhat Hanh are among my favourites, food books, authors like Elizabeth Gilbert – who have such a clear voice I can hear them speaking from the page, and of course – poetry……from early favourites like Maya Angelou – who wrote and spoke as a 6 foot woman, like me – and I didn’t know any other tall women then, so I felt like she understood! Benjamin Zephaniah, as a Brummy and hugely charismatic poet and writer who is equally at home writing for children or engaging in more serious political poetry, sometimes combining both in his young adult novels, Sharon Olds – whose work Jo Bell introduced me to – which reminds me – you should look up Jo Bell. Now! 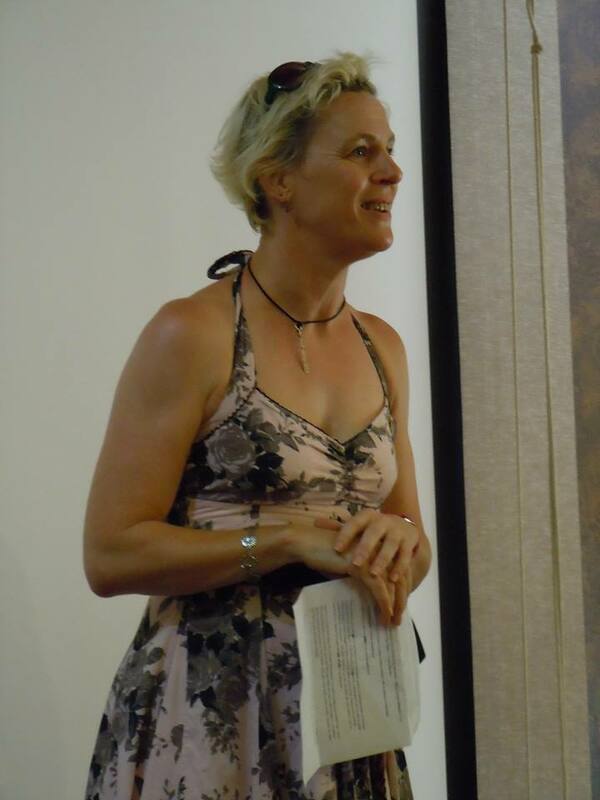 She’s a powerhouse of poetic life force, fiercely talented and a warm, friendly mischievous woman whose love of poetry and boating meets perfectly in her currently being our canal Laureate. She instigated 52 – a brilliant initiative online for weekly poetry prompts and sharing of new work – hopefully in a book for next year so we can all catch up on it. Lemn Sissay too – outstanding energy on the page and off the page and sometimes inscribed into walls – Google him now & look….. So many other names, too many to mention – but poets like Jaqui Rowe, Angela France, Helen Ivory are worth your time and generally dip into collections of poetry like a ‘pick & mix’ to stumble on new favourites. 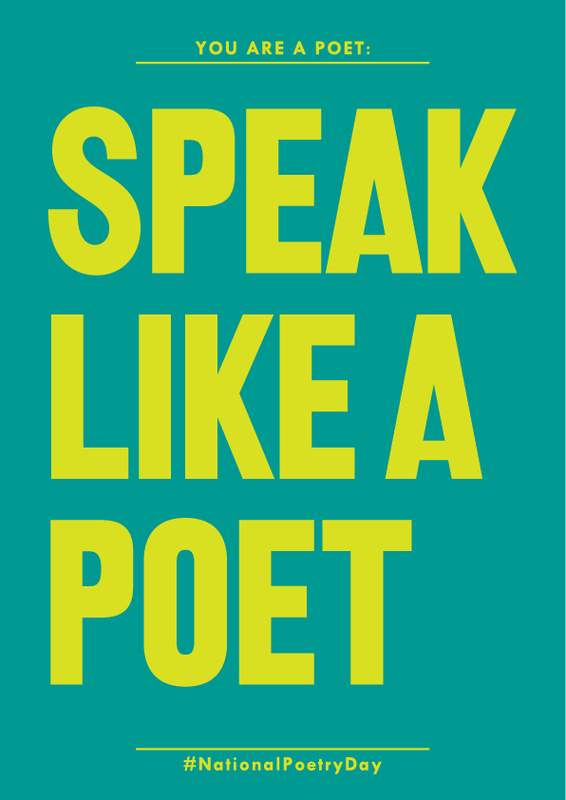 Performance poets to recommend include Hollie McNish, Bohdan Piasecki, Kate Tempest, Matt Windle, Spoz, Maggie Doyle – several of whom are friends, but of course I’m not biased – they’re outstanding poets too. Connect with other writers when you can, it’s such an isolating process – so writing groups, open mics, writing courses and literary festivals – go and find your tribe as it were! I’ve found the West Midlands to be full of some hugely talented writers, who are also encouraging and supportive people who welcome new poets and want to build up their confidence. One thing that makes me sad is when a writer spends time and energy criticising another writer’s work. This may be amusing with the big name million selling, prize winning stars parry in the broad sheets to get the headlines for their new bestseller…..but for the rest of us in the real world – be kinder! Don’t waste your finite words, and energy in negativity and try to divide the already small community of writers and artists and claim some work is superior to others. Of course we’re not all going to love every word or genre written, but why denigrate someone’s hard work and sneer – instead why not tell us whose work you love? Share what sets you alight with inspiration and we too may indulge in the excitement of discovering new favourite writers. Editing – try actually chopping a piece up. Literally with scissors and physically swap words or lines around in a poem…..sometimes it frees things up in a way you’d never discover on a computer screen. And you get to play with blue tack or sellotape – always fun! This is just a few rambling thoughts scribbled extremely quickly, so to wrap up I should say something really profound and meaningful and well thought out – like I was planning this destination all along…..erm…..oooopssssss…..oh wait, yes – that’s it….. Feel free to ignore/discard/forget every word of this or anything else……… different things will work for us all at different times. There is no one definitive answer, but by reading widely and dipping into and out of things, you’ll be likely to discover something you do like, that fits right now. So Good luck, go write and enjoy. Oh and one more thing, try writing with your friends – I did it with Divas, and we’ve had the best fun and once our diaries are all link up, we’ll be doing it again and having the best writing and performing fun ever, and tea, cake & mischievous giggles!